Smith and Nephew Uni-Solve Adhesive Remover 8 oz Bottle - (3 per Pack) . This is a top quality wound care product by Smith and Nephew, Inc. ADW Diabetes has a wide range of these and other wound care supplies at great prices. You are viewing Smith and Nephew Uni-Solve™ Adhesive Remover 8oz Bottle. Formulated to reduce adhesive trauma to the skin By thoroughly dissolving dressing, tape and appliance adhesives - 3-Pack. 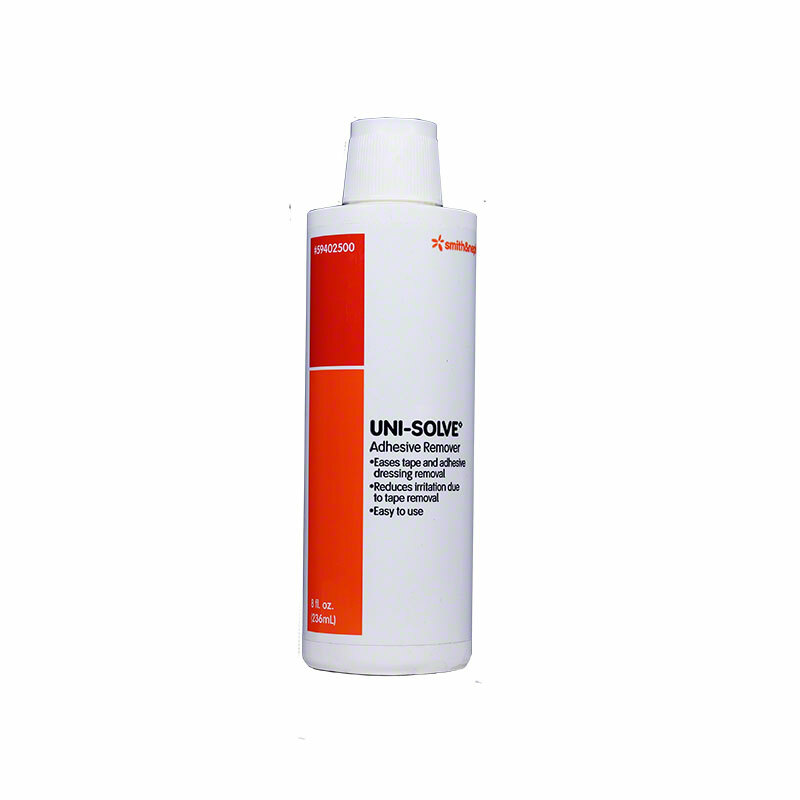 Uni-Solve™ thoroughly dissolves adhesives reducing trauma to the skin caused by frequent or aggressive tape adhesion. It is ideal for removing adhesive dressings, ostomy appliances, adhesive orthopaedic strapping and Montgomery straps.